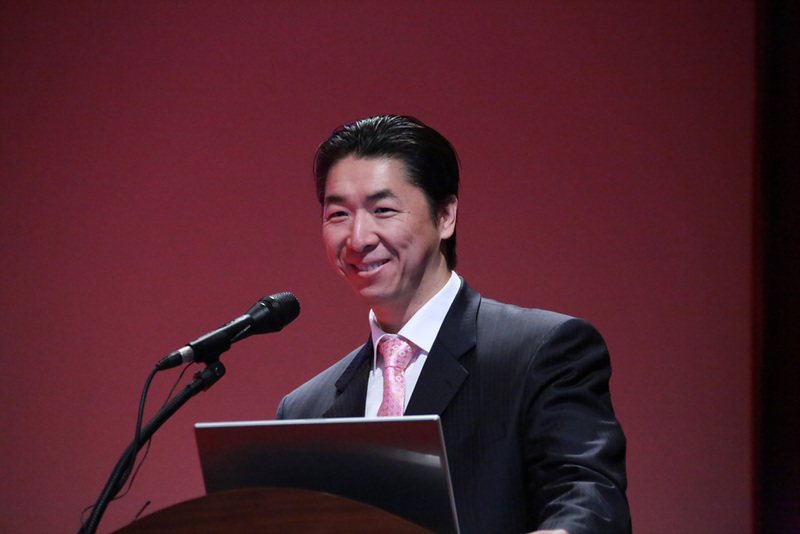 Chairman Kook Jin Moon's Invitational 'Strong Korea?' 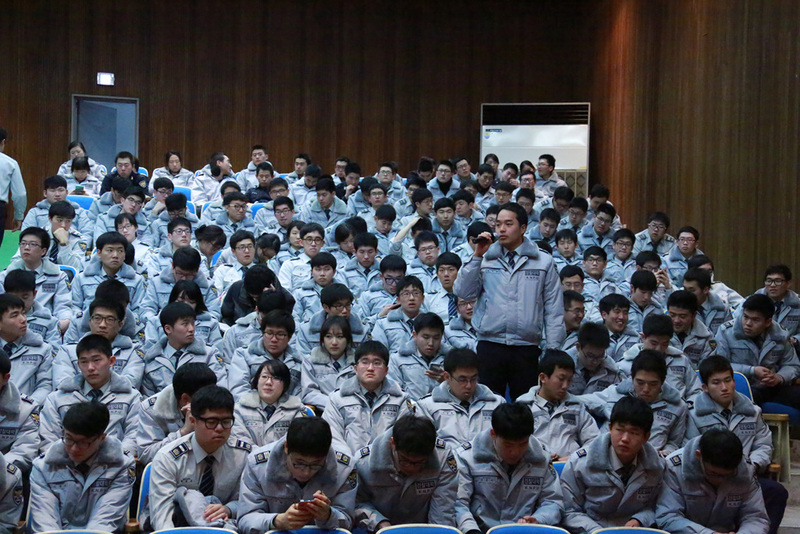 The police academy speech on national security was sucessfully delivered to the entire student body of 460 cadets on February 26th 2013 at 9:00 am at the Korean National Police University. 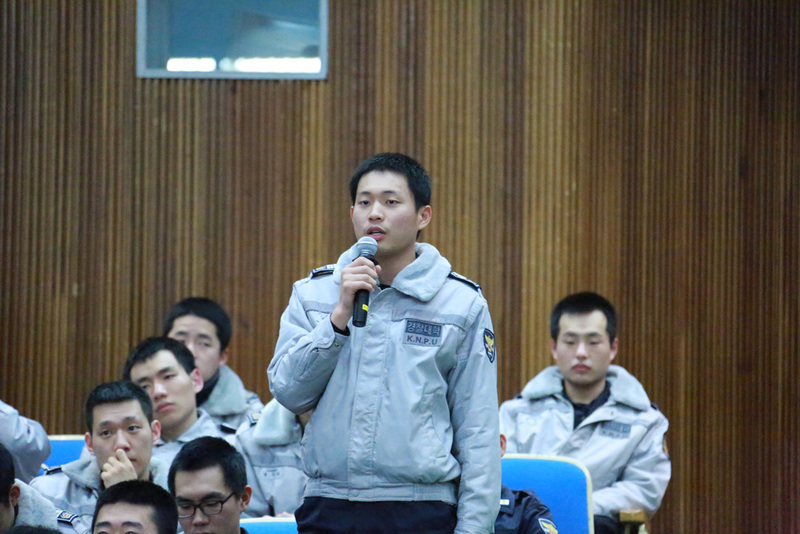 After proceeding 3 times in the '2012 national inspector level police civil servant occupational training' this speech received top marks in the evaluations and a good response so the speech could be delivered to the entire student body at the Korean National Police University. 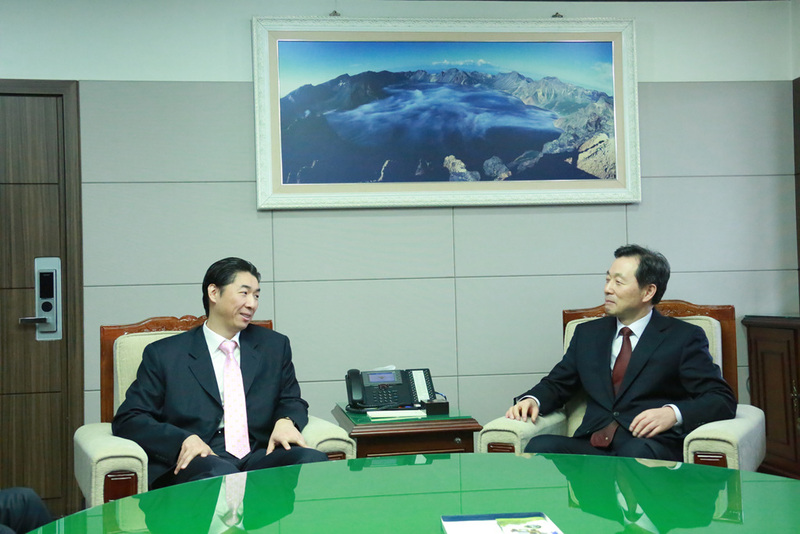 Before the event Chairman Kookjin Moon met in private with Seo Cheon-ho the president of the Korean National Police University. 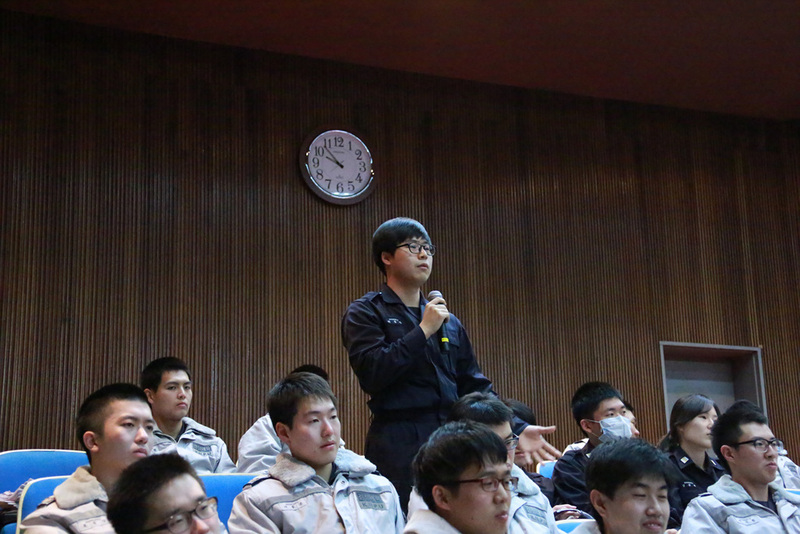 The cadets became aware of the changes taking place in the world, the global influence on security that China's growing military has, and the actual threats to security. They stated that it was a time of reflection about the present and future of Korea for building peace on the Korean Peninsula. Q1: Aren't international organizations like the UN and peace movements better at maintaining peace than a build up of the domestic military? A1: The maintenance of peace by the current UN is greatly influenced by the United State military. The UN is losing its grip as a peace keeper and accordingly I see the UN alone as lacking the ability to maintain peace. For true peace we must inspect the balance of power between rival forces. Over the past 60 years the peace surrounding the Korean Peninsula was possible because of a dominant military power made up of allied nations with the United States at the center that share the values of democracy, capitalism, and liberty. However, now that balance of power is fundamentally changing. Some serious consideration is required to think of just what is necessary for Korean to maintain its system of democracy. Q2: I heard the example of Israel as a country self-reliant for national defense. Do you see Israel as becoming a country that is self-reliant without any help from the United States? A2: Of course Israel has received jet fighters and other weapons from the United States. Israel is maintaining its self-reliance militarily through the support (purchase) alone, and on that foundation is walking the line of autonomous diplomatic policy. However, there is one fundamental difference between Korea and Israel. Korea requires not only weapons support from the United States, but also the military support from the United States, so it cannot be seen as being self-reliant in terms of national defense. The dependence on the United States is the big difference. Accordingly we must deeply consider and choose the level of independence Korea would lke to have. 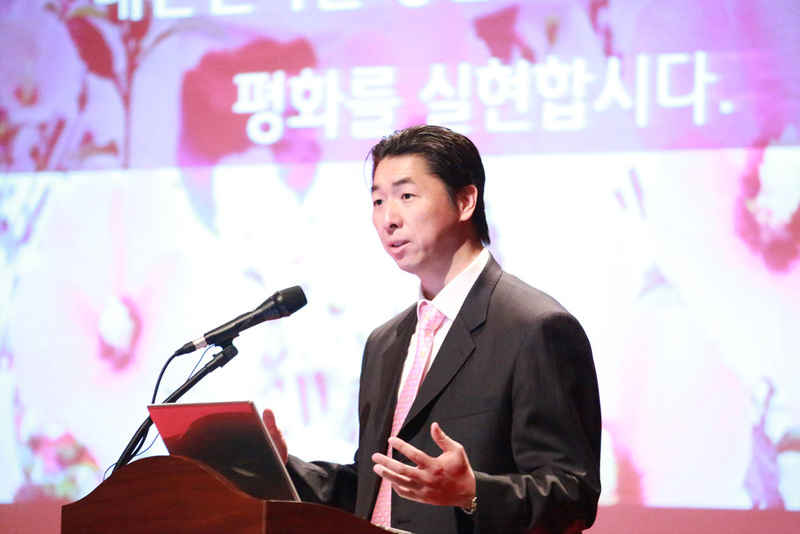 Q3: I think the essense of the speech was the self-reliance of Korea for national defense. If so amidst the nuclear testing going on in North Korea do you think Korea should possess nuclear weapons? A3: To answer this question we must look and see just how Israel was able to obtain nuclear weapons. Israel took up a wide-spread military readiness posture for self-reliance of national defense before possessing nuclear weapons. 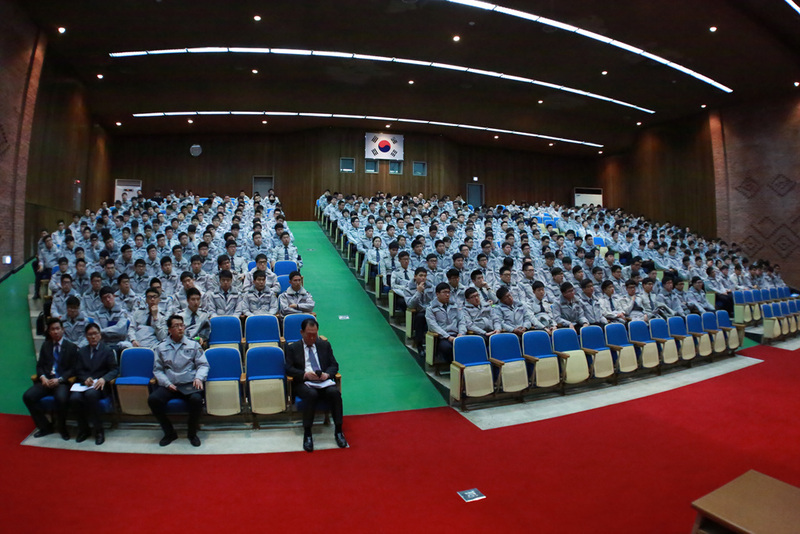 Accordingly Korea, too must first equip itself with systems and strategies of military for self-reliance militarily. Israel and Switzerland have established self-reliant military through a militia system, and are able to deploy the militia at times of war. The savings acquired from not having to pay soldiers allowed them to build a system with state-of-the-art weapons. If the same system were to be introduced it would be possible to increase the military might of Korea to 6 or 7 times what it is now. Accordingly, an environment for establishing a self-reliant military must come before discussions about possessing nuclear weapons. Q4: What sort of efforts is being made at the Tongil Group, an entity that is unfolding a peace movement all across the world to create a strong Korea? A4: Peace cannot be achieved with words alone. 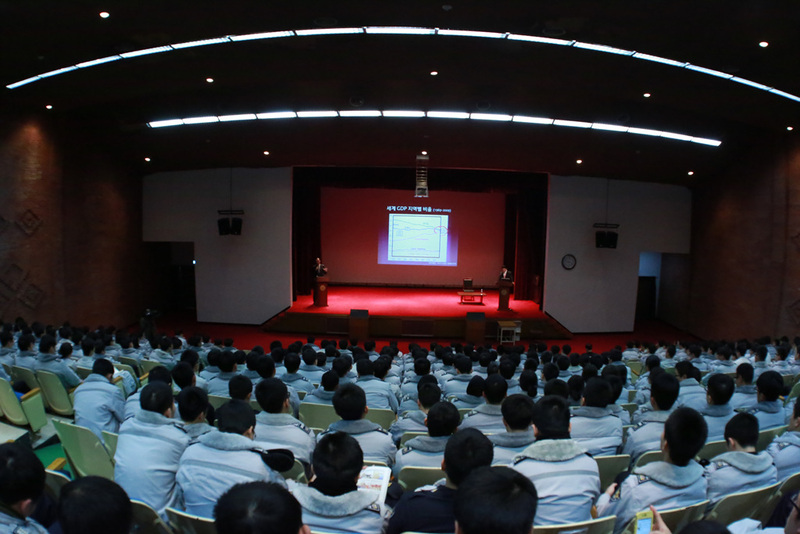 Up until this point, The Tongil Group has been spreading an actual movement to realize world peace, and we have particularly been making efforts in peace education. Also ahead of us we will build upon the foundation of a global network through the movement that has been carrried out and we will make efforts to build a strong Korea with the actual realization of world peace through education.